London club bosses are unsatisfied with Maurizio Sarri’s consequences in the club and preparing to replace him with Zinedine Zidane during the summer. Chelsea have many problems as they lost last Premier League match 6-0 against Man City which was a terrible fact for the Blues. Frenchman was Real Madrid coach and won many trophies with them in recent years. Man United were linked with him during this January but finally, Ole Gunnar Solskjær became Red Devils manager. 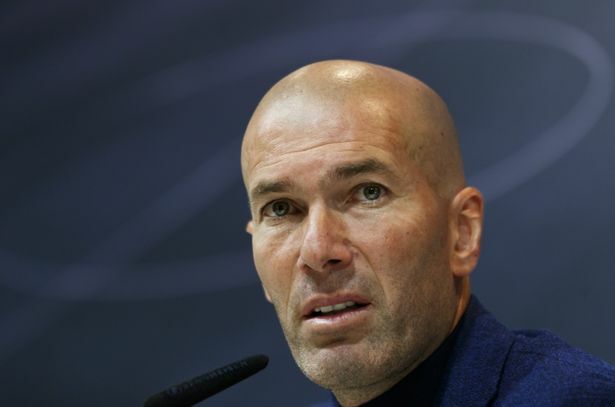 Zinedine started his coaching career in Spanish club and won three Champions League, La Liga, UEFA Super Cup and several other titles during the 3 years. This is an impressive achievement and Zidane can do the same thing with the Blues. French legend will make a decision about his future during the summer transfer window. Blues started this campaign amazingly but in the recent period they lost many matches and now London club are in a sixth place in the Premier League table. This is a terrible result and the Italian manager has to fix this problem or he will lose this job. Chelsea signed several footballers last summer like Kepa Arrizabalaga from Atheltic Bilbao, Mateo Kovacic from Real Madrid with a season-long loan deal and Jorginho from Napoli. English club also added Juventus centre-forward Gonzalo Higuain in this January with a loan deal. Maurizio has a fantastic squad and he can win many titles with them. Blues also reached the Europa League playoff and they have to face Malmo next week.